The EQ-1500 is an extremely bright, stable, broadband light source that is specifically designed for critical spectroscopy and imaging applications. The EQ-1500 offers superior spatial and power stability for highly repeatable measurements, and provides direct imaging of the plasma for optimized coupling to the instrument. 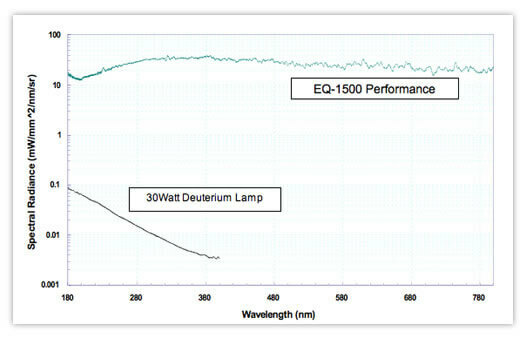 Utilizing a proprietary laser-driven bulb technology*, the EQ-1500 is ideal for applications requiring ultra-long lamp life. 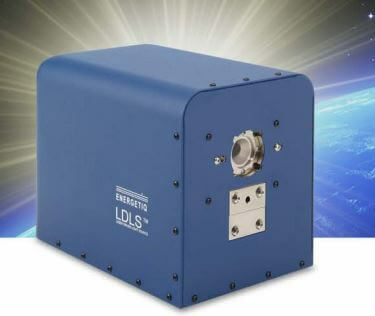 The EQ-1500 is available with a range of free-space broadband reflective coupling optics to match the ~200µm plasma size to the customers instrument or application. With its high brightness, small plasma, the EQ-1500 is particularly well suited to applications using narrow spectrometer slits, small diameter optical fibers or other small étendue optics.